I am hosting my son’s 10th birthday party next month. I was invited to the birthday party. I would like to invite you and your family to our housewarming party, starting from 3pm onwards on Saturday the 10th of April. The address is ◯◯, just 5 mins walk from Victoria station. There is no dress-code, please come as you are! It would be great if you can make, thank you! We are thrilled to receive your invitation to the party. We would be happy to join you and celebrate together! Thank you very much for inviting us to the party. We would love to attend and as a matter of fact, we are looking forward to it. Thank you for your invitation, unfortunately, we won’t be able to attend as I will leave for Japan on a business trip on that day. I hope you will have a wonderful time. Is there anything I can bring with me? Please let me know if you want me to bring something. ・Thank you very much for having/inviting me. ・It was a wonderful party! ・Thank you for your hospitality, you’re a great host! ・I had a fantastic time! 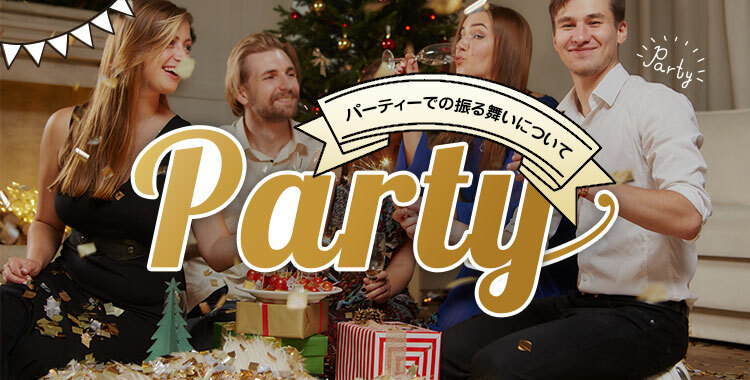 ・I thoroughly enjoyed the party. ・I look forward to seeing you again soon. ・Hi, I’m Yuka, lovely to meet you. ・It’s a great party, isn’t it? ・How do you know Neil (host)? ・How long have you been living in Japan? ・Where is your favourite place in Japan? ・What is your favourite Japanese food? ・Have you ever tried wearing a kimono? ・I like your dress very much!